Talk A Lawyer With Over 20 yrs of Experience Right Now! Herman is a hard worker that always gets results for his clients. 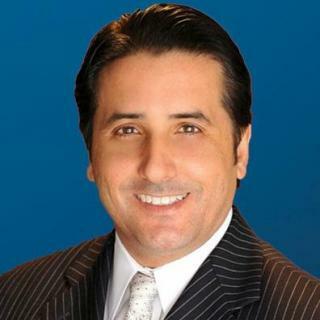 Herman Martinez is the leading and founding attorney of The Martinez Law Firm, a criminal defense firm in Houston. With over 20 years of experience, this attorney can be an excellent resource for individuals accused of a crime in Texas. Previously serving as Chief Prosecutor for the Harris County District's office, Mr. Martinez has extensive knowledge of the criminal justice system, making him uniquely qualified to defend his clients. Understanding both the defense as well as the prosecution sets him apart from other criminal defense attorneys. This attorney is also extremely well-respected in his field. He is a member of many associations including the Harris County Criminal Lawyers Association, Texas Criminal Defense Lawyers Association, Fifth Circuit Bar Association, Harris County Bar Association, Hispanic Bar Association of Houston, and the National College for DUI Defense. 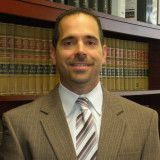 He has been rated "Superb" by Avvo.com as well as been nominated by H-Texas Magazine as a "Houston Top Lawyer" from 2008-2011. Herman Martinez is a trusted attorney who is capable of handling just about any criminal defense case. If you are looking for an attorney who can commit to fighting for your rights, contact The Martinez Law Firm today. Call now and speak to me. A: This is a timely question because recent case law is in your son’s favor. You should contact a DWI lawyer asap to discuss the circumstances. Good luck to you! Q. I’m being charged with agg sexual assault of a child, Can I get a copy of her statement she wrote without an attorney? A: Most Texas Distict Attorney offices would not allow to happen. Perhaps, your county is different. Q. I live in a county in East Texas. The county maintains a public web site that features criminal details case details. A: The most certain way is to get your arrest records expunged. Q. how do I subpoena the court for evidence and body camera footage? A: Your lawyer will be provided that once they do a discovery request. Once they receive it you will be able to see the body cam that is provided. In Texas, the Morton Act requires the State to give all non privileged evidence to the defense attorney. Q. If a 17 year old wants to fight a 20 year old and it's mutual, will the 20yo get a charge? A: Please note that once a person turns 17 they are considered an adult in Texas. A mutual fight is typically not a crime. Nevertheless, if one person goes too far with the assault or takes out a deadly weapon during an assault that started without weapons it could rise to the level of a crime. A: Possession of marijuana is still illegal in Texas. I would recommend talking to the 17 year old about drug use before contact any government agency regarding the “adult.” Additionally, you could talk to the “adult” about the illegality of possession of marijuana or potentially worse crimes that could arise. Please take note that a 17 year old in Texas is considered to be an adult in many circumstances. A: Yes, if a jury believes that witness beyond a reasonable doubt. Q. Can I go on vacation in another state while on probation in Texas? A: You should ask your probation officer first. Afterward, your attorney may have to request the court if you can travel. It depends on many factors such as the crime you are on probation, how long you have been on probation, how well you are doing with your probation.